The sponsorship agreement was signed March 1, 2012 in METALQUIMIA for the COBLA AND STRING SYMPHONY ORCHESTRA OF CATALONIA(SCCC), a joint musical project of the Orchestra of Cadaqués, the Youth Orchestra of Girona and the Principal de la Bisbal Orchestra.Francesc Cassú, conductor of the Principal de la Bisbal Orchestra, will be the Artistic Director, and Jaume Lleixà, of the Orchestra of Cadaqués, the Technical and Commercial Director. The SCCC is an innovative musical project initiated by METALQUIMIA in 2008, which has issued three CDs and performed numerous concerts all over Catalonia. After some months of reflection about adapting the orchestra to the current Catalan cultural scene, this year of 2012 the SCCC returns with renewed and rejuvenated strength, with the incorporation of the Youth Orchestra of Girona (Jove Orquestra de les Comarques Gironines JOCG). 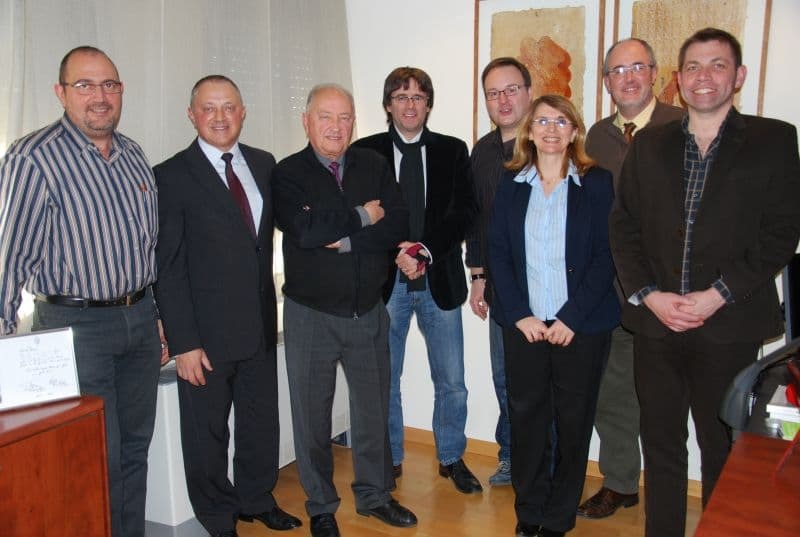 According to statements made by Josep Lagares, General Manager of Metalquimia and an enthusiast of the project, "this agreement will give the young musicians of JOCG the opportunity to participate in the concerts included in the regular programming of the Girona Auditorium, allowing them to perform unprecedented repertoires while working closely under the tutelage of the Principal de la Bisbal Orchestra."